Brand: R.S.V.P. International,Inc. 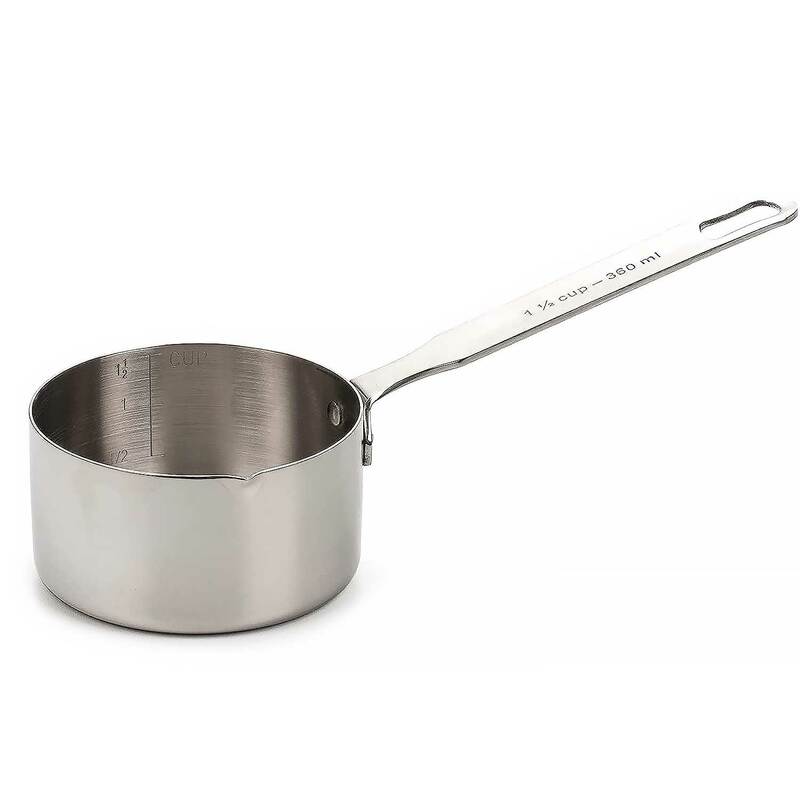 RSVP-MEA200 Units: 1 This handy stainless-steel container goes straight from counter to stove top, so you can measure and heat ingredients all in one pan. Also great for cooking or warming up small servings of sauce. Stainless-steel construction for fast even heat distribution without hot spots. Pour spouts to prevent drips and messes. Handle holes for hanging. Note- 2 cup line is slightly below edge of cup. This handy stainless-steel container goes straight from counter to stove top, so you can measure and heat ingredients all in one pan. Also great for cooking or warming up small servings of sauce. Stainless-steel construction for fast even heat distribution without hot spots. Pour spouts to prevent drips and messes. Handle holes for hanging. Note- 2 cup line is slightly below edge of cup.